Regent Heights is one of the tallest condominium projects located in the Hillview, Bukit Batok area. Regent Heights is close to the Pan Island Expressway (PIE), AYE and Bukit Batok MRT Station, Bukit Panjang Shopping Mall, The Rail Mall and West Mall. A mere 5 minutes bus ride is all it takes to go to the Bukit Batok MRT station and shopping mall. 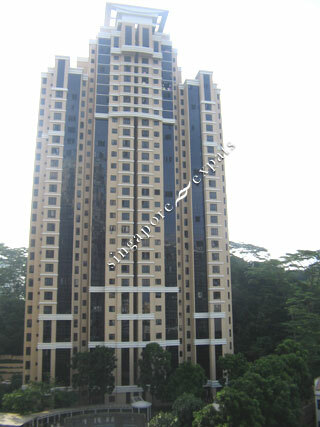 It is within walking distance to the HDB shops and markets located in Bukit Batok. Regent Heights is a fantastic condo, with great facilities including golf driving range and putting green, tennis courts, gym and cascading pool. Well located within 10 mins from the Jurong East malls, next to little Guilin and 5 minute walk from the Bukit Batok Nature Reserve. Fantastic for families with young children, awesome accessibility using public transport!! Quiet environment and plenty of greenery and joyful place to live surely. Good for those who like to be in quiet and peaceful environment with smooth transport. Family oriented condo with a great atmosphere. Full condo facilities for all ages: large pool with special area for kids, gym, tennis, golf practice court, basket ball court, nice garden with bbq pits. Located in the green area of Bukit Batok nature park and close to bukit timah nature reserve. Easily accessible in between Bukit Batok and Bukit Gombak MRT on walking distance to MRT and West Mall. Available parking spot included. Excellent condo for own stay. Best in bukit batok definitely.